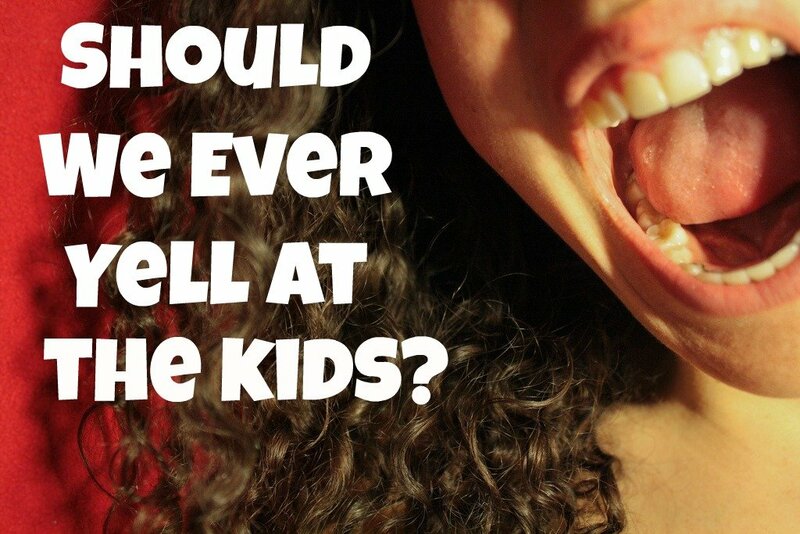 Should We Ever Yell at the Kids? >> Should We Ever Yell at the Kids? Is yelling ever a good thing for us to do as teachers or as parents? But then as I kept thinking I realized there could be a few instances that did, indeed, warrant yelling. If two students are about to get in a fist fight or your child is about to run into the street, yelling would certainly be appropriate, and maybe even necessary to avoid a disaster. But yelling out of anger or frustration? No, I don’t believe that’s ever a good idea. I know it’s all too easy to blow up when the kids are getting on our last nerve, but this kind of yelling is rarely, if ever, productive. In fact, it’s often quite destructive. Yelling serves as a distraction. When we yell at our students or our kids, do you think they really hear what we are saying? No, they just hear the yelling. As a result, they don’t leave the conversation thinking about what they did wrong. Instead, they either are thinking about how hilarious it was that we blew up or they are upset and hurt. Yelling harms the relationship. There’s no doubt that yelling puts strain on any relationship, and neither a teacher-student or parent-child relationship can handle too much of this. And without a strong relationship, nothing we say or do will really make much of an impact. I know it’s easy for us to lose our cool, but considering the cost of our reactions should help keep us from flying off the handle too often. Yelling makes us look ridiculous. Yelling can make us feel powerful, like we’re in control of the situation. But to anyone watching, we look like an idiot. When we yell, we might as well be screaming, “I am not in control of myself or my kids!” And speaking of kids, how do they react when we yell? If our yelling doesn’t leave them too upset, it makes you the star of a hilarious story that will become legend in the years to come. Is that really what we want? A firm, quiet response is more powerful. When we choose not to yell but to instead respond firmly but quietly, the child or teen can actually hear what we are saying. There are no distractions, and we have the opportunity to build our relationship instead of tearing it down. We can disciple, encourage, correct, or discipline much more effectively without the theatrics. One of the most powerful examples of the power of quiet that I have ever seen took place during one of my college speech lectures. A young graduate assistant was lecturing about 150 underclassmen and, for some reason, everyone in the class started talking. The teacher had clearly lost control of the class, and I (as an education student) watched with interest to see how she would respond. She didn’t yell or scream. Instead, she just stopped teaching and waited in silence. Soon the class realized what was happening and quieted down, and I will never forget what she said next. In a firm but calm voice she just said, “I will have your attention.” My jaw dropped in amazement as an entire hall of unruly students sat up straight and did just that – gave her their full attention. She continued with her lesson, having just earned the respect of the class. If you’ve been yelling at you class because you don’t know what else to do, check out my posts If Your Class is Out of Control and How to Calm a Disruptive Class. And for even more help, download my e-book Create Your Dream Classroom in which I give specific strategies to help you gain control of your class. What do you think? Should we ever yell at our students or children? Are we ever justified when we respond in anger? Share your thoughts with a comment below. I did loose my control a few times this past year and felt so foolish afterwards. I know it’s wrong but sometimes I just got tired and let my guard down. I love the idea of just standing and saying nothing and then saying I will have your attention.